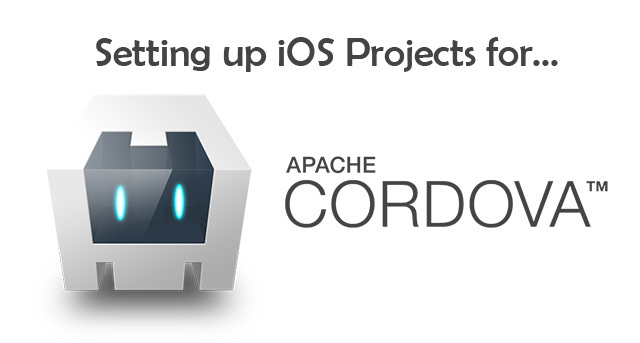 I recently had reason to use Apache Cordova / PhoneGap to build a Native-Wrapped HTML5 App for use on iPad. Whilst I have worked on PhoneGap / Cordova projects in the past, I found the setup process for Apache Cordova 3.x to be somewhat confusing, even for an Empty / Blank App. Installing the Framework is messy, requiring use of the Terminal app, and is then further complicated by the fact that you have to choose to add plugins for even the simplest of functionalities, formerly bundled with prior versions. Of course, get that "Shell" right, and the power of bundling a HTML5 App is there to exploit. I have now mastered the setup process, after a lot of reading, and some perseverance. 1. Install Node.js on your Mac. 2. Open Terminal and install Cordova. 5. Change to the new directory. 6. Add the iOS Platform. 7. Add your required plugins, of your choice, i.e. 8. Build an initial iOS Version. Thats it - Now for some quick tricks! Set your Device Type (i.e. iPad) and Orientation (i.e. Landscape) in your Project Options. Set your icons, drag in your Web App to the www folder, and away you go!